I was absolutely clueless what I would write about this month. “Fasting” is not something I’ve ever taken part in. At least, not that I’ve been aware of. But then I started my Lent devotions and am studying through a Wonderous Encounters: Scripture for Lent by Richard Rohr. 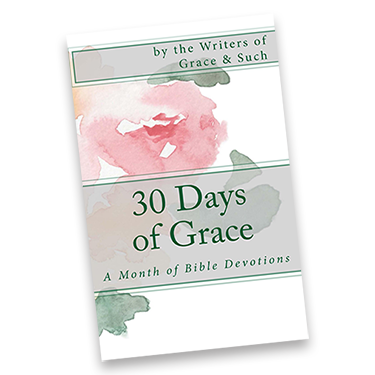 The day I was going to email Jen and let her know that I just couldn’t think of anything to write about, I turned to that day’s devotion and the Chapter in Isaiah Mr. Rohr was writing about was titled “True Fasting”. What are the chances??? For real. If you have a minute or two right now you should read chapter 58. Good stuff in there. Isaiah is talking about how hypocritical it was for the “religious” people to be fasting and at the same time missing the whole point of why they were told to do so in the first place. “They ask me for just decisions and seem eager for God to come hear them. He continues on, describing them as “quarreling and striking each other” and trying to make them understand why they are not being heard. They are putting on this big show for those around them but their hearts were not gaining anything from the fast they were portraying. I can absolutely relate to the “fake fasters” that he’s talking about because I’ve also had a history of doing something similar. I’ve spent a good chunk of my life doing nice things for people. It always makes me feel amazing to help people if I’m able, whatever help is needed. But continually lurking in my mind was my own sinfulness, and God couldn’t hear me through my own expectations of recognition. I’ve realized that some of the depression that I struggled through was because I had expectations of appreciation, in one form or another, from people that I felt I went above and beyond for. Only, they weren’t privy to those expectations and looking back now, they were absolutely unfair. I wasn’t finding joy in the things that should have brought it and if I did it was short-lived because I would start viewing people as ungrateful. When I was finally able to step back and look at the way I was living, thinking, and acting, I’m now able to see that I don’t need anyone to notice or thank or repay anything that I do. When I started “fasting” from expectations, my heart softened and I’m now understanding, and appreciating, that joy that I feel when I reach out in some way or another. I don’t need anyone to know about it and I don’t have the expectation of appreciation that I once did. Because I know my Father sees it and he continues to bless me with more opportunities to use my gifts. And the more it’s not about ME, the more I feel closer to Him. The more I feel that I’m getting closer to living a life that would make Jesus proud to call me a sister. You’re never to old to think, feel or act differently. The hardest thing I’ve done so far in this life has been to look at myself, truly deep within my heart. To look at all the dark and ugliness and dig through it all, sort it out, and keep the stuff that mostly resembles who I’ve thought I was all this time. It’s been a lonely, painful and emotional time. I’ve lost some friendships over it. I’ve spent a lot of time crying, lamenting, weeping, hiding, and dredging through an ocean of shame. But I’ve never been more thankful for anything in my life. I’ve learned that when we go through times like this we can either choose the road to growth, which usually means changing something about ourselves, or continue on in misery. God lets us walk through these crap stages to make us a better version of ourselves. The end result is so worth it. If we allow it. I’ve learned that when we go through times like this we can either choose the road to growth, which usually means changing something about ourselves, or continue on in misery. Same with the people in Isaiah 58. God stopped answering their “requests” because they were selfish in nature. They were so worried about not getting any recognition for missing a few meals but missed the point of noticing that they weren’t the only ones hurting. And if they would’ve taken the focus off of themselves for a moment maybe they would have been compassionate and sympathetic to what he was trying to teach them. Some of us can be slower learners. I’m immensely thankful for a patient and grace-filled God. Thank you for this insightful post. Fasting from expectations, focusing in on our own part in the equation has been a spiritual exercise for me as well. And it’s a continual one, one of those fleshly pursuits I tend to rehash when I’m at my weakest. But we have such hope, and you’ve encouraged us with your transparency. God bless you, and have a Happy Easter! I’ve never thought about fasting from expectations, but that’s a great way to put it. Hard to do, but the benefits are so worth it. Thanks for reminding me about this section of Isaiah, Tina. I have always loved verses 6-8 of Isaiah 58!! It pierces me whenever I hear or read it. Those words actually led me to a service ministry that I volunteered with once a week for about six years. Man, I need to get back to that. There is nothing like serving the least of these to draw you closer to the Lord.